WAITING IT OUT The majority of the state’s 747 condemned men at San Quentin State Prison have been on death row for between 16 and 24 years. Moments before Richard Allen Davis was sentenced to death in a San Jose courtroom for the kidnapping and murder of Polly Klaas, the young girl's father addressed the court. "He broke the contract; for that he must die," Marc Klaas said on Aug. 5, 1996. "Mr. Davis, when you get to where you're going, say hello to Hitler, say hello to Dahmer and say hello to Bundy. Good riddance, and the sooner you get there, the better we all are." Davis entered the Klaas family's life on Oct. 1, 1993, when he broke into Polly Klaas' mother's home in Petaluma and kidnapped the 12-year-old. The ensuing two-month search engrossed the nation, and ended when Davis led investigators to the young girl's body. But for Klaas, the torture was far from over, as the case evolved into an emotional three-year trial. Klaas has looked forward to the killer's execution as the lifting of a burden. But at sentencing, he never imagined that 20 years later he'd still be awaiting that day. Since 1996, Davis—who sits on death row in San Quentin State Prison, a scant 10 miles from Klaas' Sausalito home—has had just one appeal heard. His situation is not necessarily unique; the majority of the state's 747 condemned have been on death row for between 16 and 24 years, with one awaiting execution for 38 years. Klaas spends his days running the KlaasKids Foundation, one of several nonprofits started in Polly's memory. But after receiving a call from the California District Attorneys Association, he's turned his attention to endorsing Proposition 66, a proposal to reform the death penalty headed for the November ballot. "It was never my intention to be an outspoken advocate of the death penalty," Klass says, "but apparently it just sort of played out that way." Come election day, Proposition 66 will be up against another death-penalty initiative, Proposition 62. Each initiative addresses California's broken death-penalty system, which leaves the condemned to languish for decades. But the two plans present diametrically opposed solutions. Simply called the California Death Penalty Repeal, Proposition 62 would replace the death penalty with life in prison without parole. The legislation sprung from the seeds of 2012's Proposition 34, which would have abolished the death penalty had it not lost by a narrow margin. "What the polling shows is that there's a big difference in the way voters react to the question 'Do you want to end the death penalty, period?' to 'Do you think we should replace the death penalty with life without the possibility of parole?'" says Paula Mitchell, an author of Proposition 62 and professor at Loyola Law School in Los Angeles. She and others behind the campaign found that voters are much more comfortable with the idea of substituting a life sentence rather than abolishing the death penalty altogether. 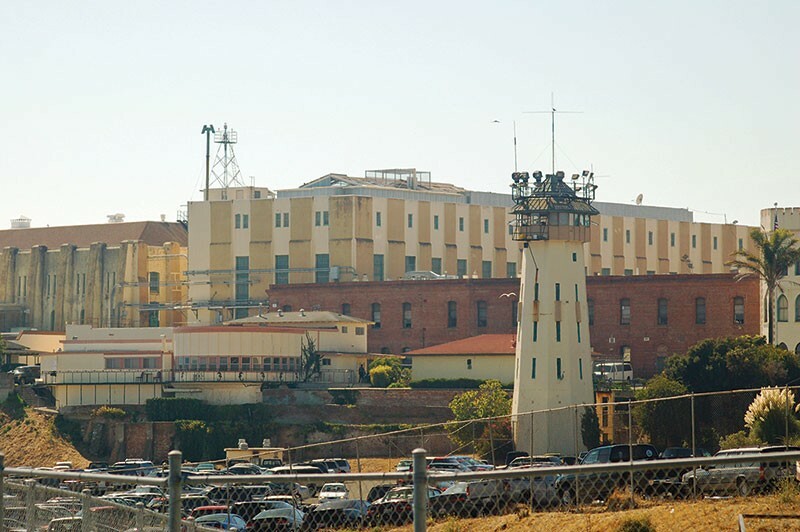 The legislation would also force death-row inmates to work in prison and pay restitutions to their victims' families, a facet it shares with Proposition 66. District attorneys and elected officials, including Lt. Gov. Gavin Newsom and former president Jimmy Carter, have endorsed Proposition 62. It has also drawn an eclectic list of celebrity endorsers, including former CIA operative Valerie Plame, civil rights leader Dolores Huerta and entrepreneurs Richard Branson and Larry Flynt. The death-penalty-repeal campaign is driven by a belief that the state's system is fundamentally broken. Since 1978, when capital punishment was reinstated by voters after a brief abolition, California has spent more than $5 billion to run the largest death row in the Western Hemisphere. In that time, 930 people have been sentenced to death but only 15 have actually been executed, according to the state Legislative Analyst's Office (LAO). No executions have been carried out in California in the last decade because of challenges to the state's lethal-injection protocol.